Brand New Hot Water Heater. New Heating & Central Air & Ducts. New Pull Down Stairs. New Counter Tops. New Iron Gate. New Exterior Paint. New Smoke Alarms. Hardwood Floors throughout. 2 Full Baths. Bonus Room-Office with walk-in closet. Security Doors Front & Back. Brick Patio in the back yard. Washer -Dryer Units & Refrigerator will stay with the house. The owner will remove the handicap ramp to the front door if desired by the purchaser. 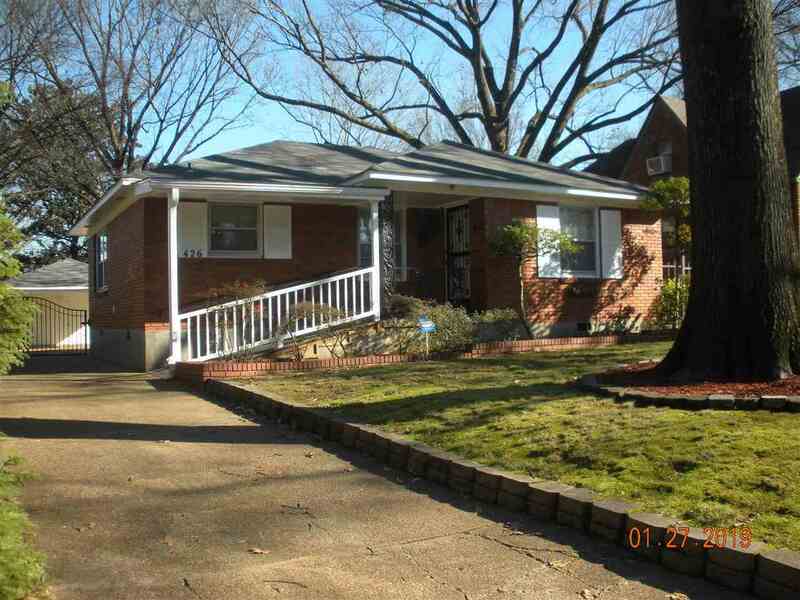 Great proximity to the University of Memphis.